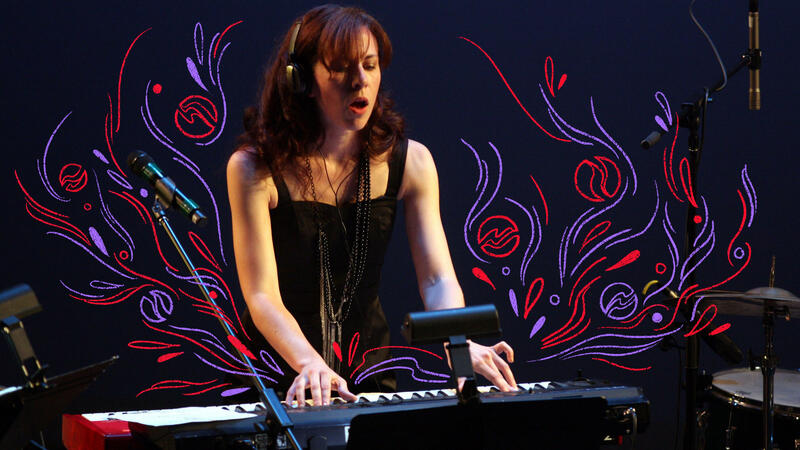 Missy Mazzoli performing in New York City in 2012. Classical music has a gatekeeping problem, and much of that can be traced through the word "great." I don't mean great as in "that was great," the kind of thing you'd say as you walk out of the concert and pull out your phone to find somewhere for post-concert cocktails on Yelp. I mean Great as in Great Composers, the set of dead white guys whose Great Works manspread across the programming of most symphony orchestras, opera companies and other classical music-presenting institutions in the country that don't exclusively focus on new music. Don't get me wrong. Most of these works are in the canon because they are actually pretty great. They've been fascinating us, pulling our heartstrings and making us hum along for centuries. But if the major selling point of classical music is how objectively Great it is or how Great the composers are, Greatness becomes insidious: effectively meaningless, but unchangeable, almost impossible to fight. Being sold Greatness is now what audiences expect. It belongs only to the past, so it's antithetical to welcoming or nurturing composers and listeners of the present and future, especially if they don't buy into that lineage of Greatness. Missy Mazzoli, 38, is trying to tear down the gates for new composers and listeners. She's a prominent figure in new music; she has three operas to her name with librettist Royce Vavrek, including the vicious Breaking the Waves — an adaptation of the controversial 1996 Lars von Trier film — and the dry, spooky Proving Up, based on Karen Russell's ghost story set on the 19th-century prairie. Her work engages with stories about human beings and the oft-fraught relationships between them. None of her main characters is someone you would aspire to be or, conversely, an irredeemable monster (except one, in Proving Up, who actually is a monster). But all are complex and fully realized. In the case of Breaking the Waves, Mazzoli's act of adapting a story hinging on a woman's trauma feels especially prescient in a time when it's still common for such stories to be told by all-male creative teams. Her resumé also includes a handful of composer residencies with institutions like the Chicago Symphony Orchestra and the forward-thinking Opera Philadelphia, and two heady recordings with her all-female band Victoire, which she assembled to perform her own music. "Band" isn't a word that typically applies to classical ensembles, but it's really the only accurate descriptor of Victoire, in which Mazzoli plays keyboards. Anything else would be slapping a label on it that doesn't fit. Its second album of Mazzoli's music, Vespers for a New Dark Age, turns poems by contemporary poet Matthew Zapruder into searing songs of secular prayer, with propulsive drumming by Wilco's Glenn Kotche and production by Victoire member and synth wizard Lorna Dune. It feels like it belongs to no genre and many genres at once. It's been called everything from "ravishing, unsettling...from the chamber-operatic to the electronic and semiabstract" to "an engrossing classical-electronic-vocal epic" to a "suite for singers, chamber ensemble and electronics" — that last clear-cut description nonetheless makes it sound drier and less friendly than it is. When I try to think of what to call it, anything I come up with either sounds too generic or detracts from the simplicity I hear in its core. But it moves; it's old, new, borrowed and blue. I'd play it for people who would never go to a classical concert. In an interview with Philthy Magazine around the time New Dark Age came out, Mazzoli said her ideal listener wouldn't know anything about her or her music, so they wouldn't have a preconceived idea about what her music should be based on its labels. That's a sharp contrast from most of the classical music fandom, which trades in expertise about composers and their work. For a while, I wondered if her aversion to genre was just a marketing strategy for those who didn't want to stake out a specific niche. But the regularity with which she unveils unclassifiable music says otherwise. Her music eludes description because you're not supposed to describe it. You're supposed to experience it. "My mission is to connect with people," she told San Francisco Classical Voice. "The purpose of creating music is to feel less alone, to create a community around the work to express something that can't be expressed in words." Building community has always been a front-and-center element of her musical practice, subverting the (inaccurate) paradigm of the genius classical composer walled up in his studio and frantically scribbling. There's Victoire, which she considered a safe place to "express our creativity, to try new things, and fail spectacularly in a safe environment." Then there's the crop of young "indie-classical" composers, frequent collaborators of hers, in which she flourished. Now she's doing the same for the next generation. In 2016, Mazzoli co-founded the New York-based Luna Composition Lab. Through annual fellowships, Luna encourages the composition careers of young women, nonbinary people, and gender-nonconforming people aged 13 to 19, providing them one-on-one mentorship, performance opportunities, and a ready-made network of composers who look like them. "What I see a lot is that men are given opportunities based on potential," she told the New York Times about the male-dominated world of opera, where she's been doing much of her recent work. "With women, people are always waiting to see proof. They want to see that you've done something before they give you an opportunity. You can see the impossibility of that situation. If you're a young woman and you have a dramatic impulse and you are attracted to that art form but no one's going to give you your first big break, it becomes impossible to break into that world." Through her outreach, Mazzoli is trying to make the break into that world easier, taking her place in a lineage of female artists supporting other female artists. Mazzoli never had a female composition teacher herself, but her own first forays into the operatic world resulted from teaming up with a woman: contemporary opera producer Beth Morrison, who splashed down into the New York City scene in the mid-2000s with a forward-thinking creative ethos and distinctive goth/ballerina personal style. Beth Morrison Projects commissioned and presented Mazzoli's first opera, Song from the Uproar (2012), and later co-commissioned Breaking the Waves (2016), which won Mazzoli the Music Critics Association of North America award for best new opera. Mazzoli's work with Luna Lab feels even more vital in light of the dramatic downsizing of classical music coverage at daily newspapers and general-interest magazines around the country. Mazzoli came up in the final years of what feels like a different era in music journalism; media attention she received from writers such as Steve Smith, Allan Kozinn and Olivia Giovetti bolstered her profile in her early years. Since then, many writers around the country have been laid off, taken buyouts, or moved away from music writing. Online publications specializing in new music such as National Sawdust's Log Journal, I CARE IF YOU LISTEN and the Berlin-based VAN Magazine (full disclosure: I've written for all of these) do their part to fill the gap, but in towns with large music scenes but only a small group of writers, it can be especially difficult. Symphony orchestras, operas and already-acclaimed touring musicians, which are typically offering Great Works by Great Composers, often get the lion's share of coverage. In the meantime, younger musicians and smaller groups pick up the crumbs. In light of this, Mazzoli's work feels crucial in ensuring that younger and more diverse groups of composers have a chance to bring their work to new audiences. Added, Mazzoli herself is outspoken about the climate of gender discrimination and secrecy about sexual harassment that persists in classical music. "I'm shocked that we're still at this place. I thought when I started my undergrad that by the time I got to be 37 years old, things would have dramatically changed," she said in a National Sawdust Log interview. "I also feel pissed off that I had to wait until I was 37 to really feel like I had agency, that I was able to say something about what's going on. I think that the numbers, the statistics of women in classical music... People are always asking me, 'Oh, what have you experienced? What horrible things have happened to you?' And I'm like, 'The statistics are the horrible thing.'" The statistics still aren't in favor of anyone who's not a cisgender white man. But with her trifecta of performing, composing and mentoring, Mazzoli is out to change them. It doesn't matter what you already have or haven't heard or done. The gate is open, and you are welcome. I have to say that's pretty great.